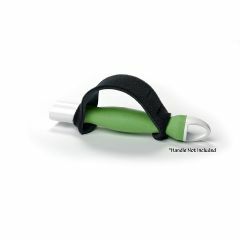 The Freedom Wand is a sanitary, easy to use, multipurpose, portable, personal toilet tissue aid. The hook-and-loop fastener(s) Strap is an optional accessory for the Freedom Wand that secures the wand to your hand. The Freedom Wand hook-and-loop fastener(s) Strap is great for people with limited hand movement, quadriplegics and spinal cord injuries. Handle not included.Important Note: this page does not include the Freedom Wand (sold separately). does this object clean the feces from the buttocks without smearing it to other parts of the lower body?